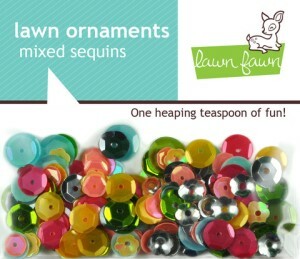 Lawn Ornaments mixed sequins are perfect for adding that special something to your crafts! This pack contains one heaping teaspoon of sequins. Colors coordinate with the Let's Polka collection. This is a 3 1/2" x 3 1/4" package.